When we think about the qualities we want to nurture in our students, there are no greater role models than those from history, both recent and distant. 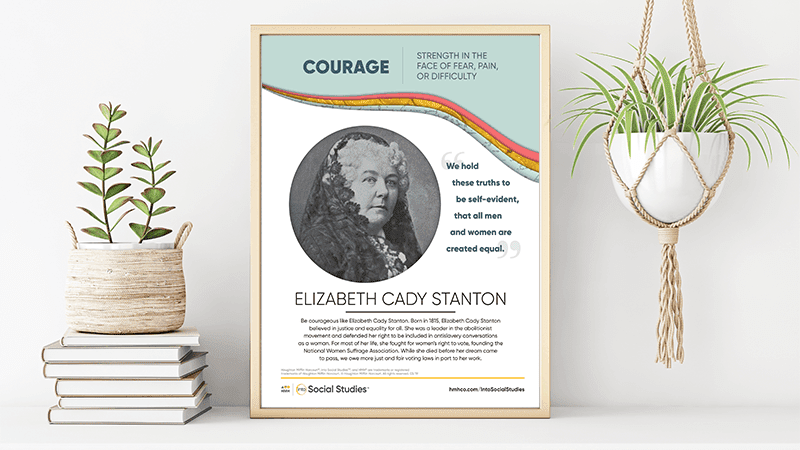 That’s why we’re delighted to share these free character ed posters from HMH Into Social Studies, featuring real-world heroes Elizabeth Cady Stanton, Malala Yousafzai, and Rosa Parks. 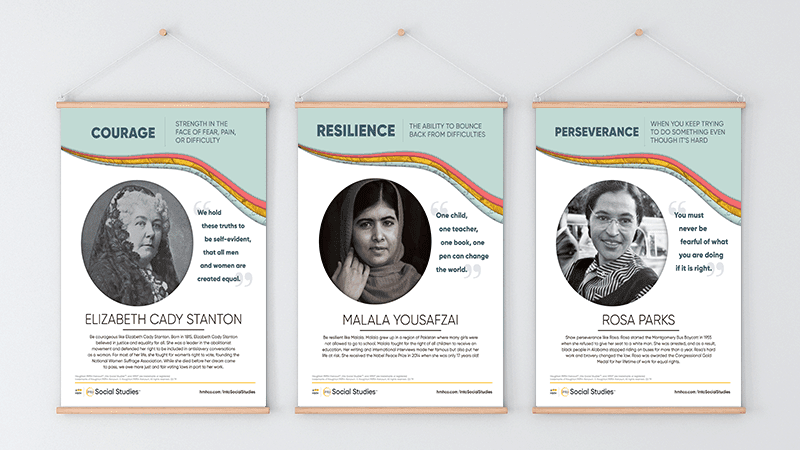 These historical figures embody the traits we want to see in our students, including problem solving, resilience, and perseverance. 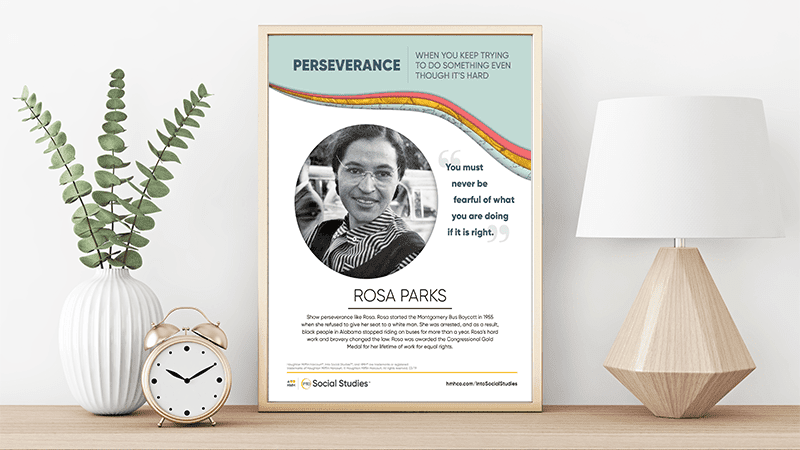 Each poster features a quote from the historical figure, a mini biography, and information about the character trait that person reflects. 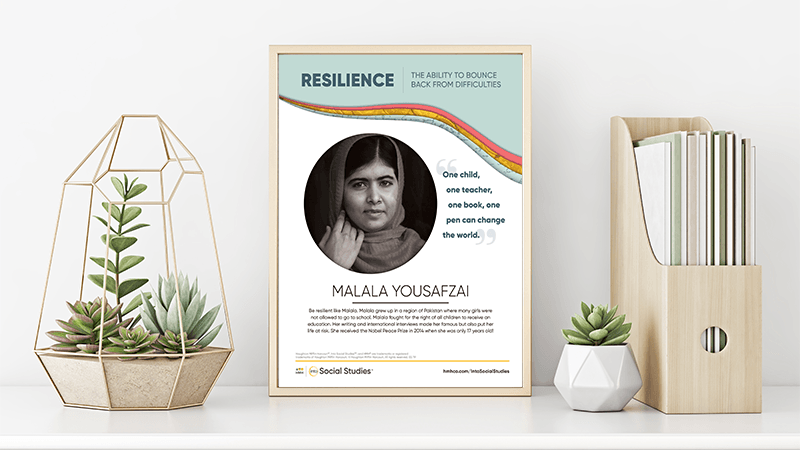 Use these posters in social studies class, yes, but also around your school to spark conversations about the importance of these values. Yes! Please send me the School Leaders Now e-newsletter packed with tips and giveaways especially for school leaders. Yes! Please send me news and offers from Houghton Mifflin Harcourt.